>> Where Is Costa Rica Located? The questions where is Costa Rica became very popular during and after the football world cup. Because the Ticos (Costa Ricans) came up into the quarter finals. Which is the best result so far. 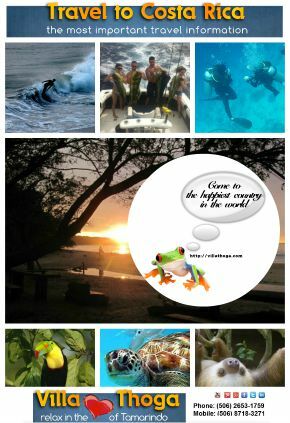 Now, learn a little bit more about where is Costa Rica located. They call Costa Rica the Switzerland of Central America. Here you can check the map of this beautiful country. San Jose is the capital of Costa Rica. San Jose is the largest city in Costa Rica and has about 500,000 citizens. Here is also the seat of government. Costa Rica counts with two international airports. The Costa Rica airports are: Juan Santamaria in San Jose and Daniel Oduber in Liberia (Province Guanacaste in the north of Costa Rica). If you visit another country, it is good to know something about “how can i pay”. 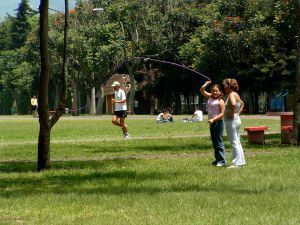 In Costa Rica it is very easy for you. The currency in Costa Rica is the Costa Rican Colon. But you can pay in US Dollar in the whole country. Of course, Costa Rica has a few more airports. But those listed above will help you to come to the best places to stay in Costa Rica. Good news for you. The climate is tropical year round. Costa Rica has only 2 seasons. Dry and rainy season. But here in Guanacaste we have little rain. Much too little. So you can vacation round the year in Tamarindo, province Guanacaste. Here more about Tamarindo and vacation rentals. What is Costa Rica known for? Two words: PURA VIDA!! Or pure life in english… But this words you can use a lot in Costa Rica. The country is well known for an incredible flora and fauna. I guarantee you, you’ll love this country, like we do. We are Thomas & Gabriele Traegner, your hosts. Our goal is to make your vacation unforgettable. Not only with a great location, a clean Villa and a perfect service. We also show you the best things you can do in Tamarindo and Costa Rica. Sunset Cruise In Tamarindo Costa Rica On A Schooner Or A Catamaran?